TCT was founded in 1959 by a small group of teachers, and school staff, who wanted to pool their savings together to loan each other money when banks would not. At TCT, you're not a customer or a transaction, you're a member and an owner. 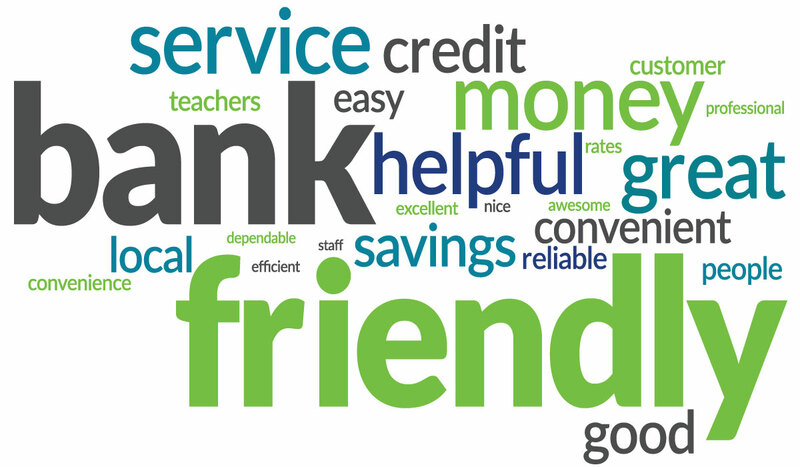 We care about your financial well-being and your overall peace of mind when it comes to your savings and loan needs. When you join TCT, we make an initial $5 deposit into your savings account as a welcome gift. This deposit represents your share of ownership in the credit union. By saving your money at your credit union, you're able to support other people in the community with their goals and dreams and desires. Your deposits could be part of a first car purchase, a family’s new home or help a couple send their child to college. And, if you need to borrow, TCT offers a wide array of loan services at low rates that save you money. Because credit unions are not-for-profit, every dollar we make goes to providing more value to our members and the communities we serve. At TCT, you can trust that you’re getting personalized service and competitive rates. The word cloud below shows the most common responses. The survey also provided us with our Net Promoter Score. This is an index ranging from -100 to 100 that measures the willingness of customers (or members, in our case) to recommend a company's products or services to others.